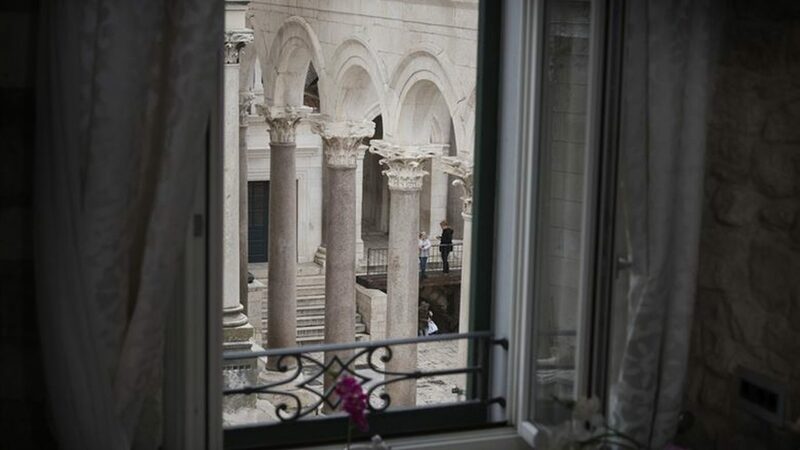 Every day, dozens of new hotels in Croatia open their doors. Some of them are large and luxurious, while other tender romantic atmosphere or are well-suited for a family stay. Heritage Hotel Antique Split, however, can boast with something else. 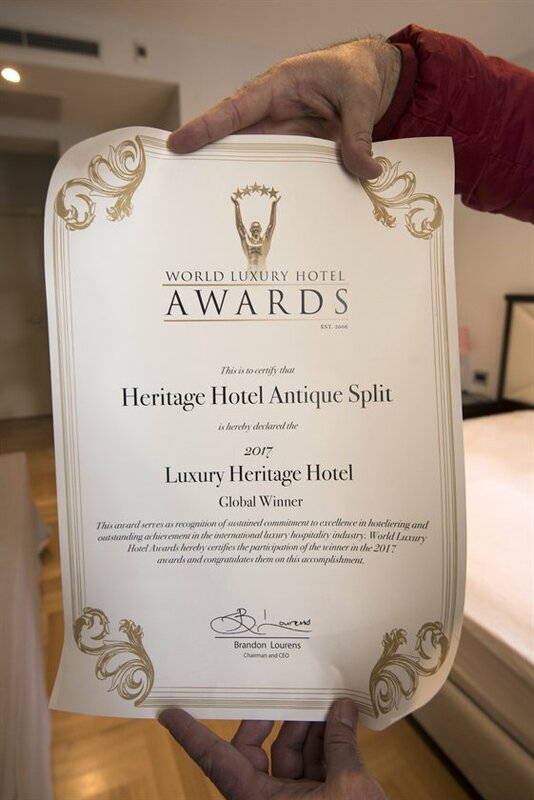 During the last gathering of top-class hospitality professionals in Swiss Saint Moritz, it was proclaimed the best heritage hotel in the world. As a global winner with such strong achievement, the hotel is bound to attract a lot of foreign visitors to picturesque Capital of Dalmatia Region. 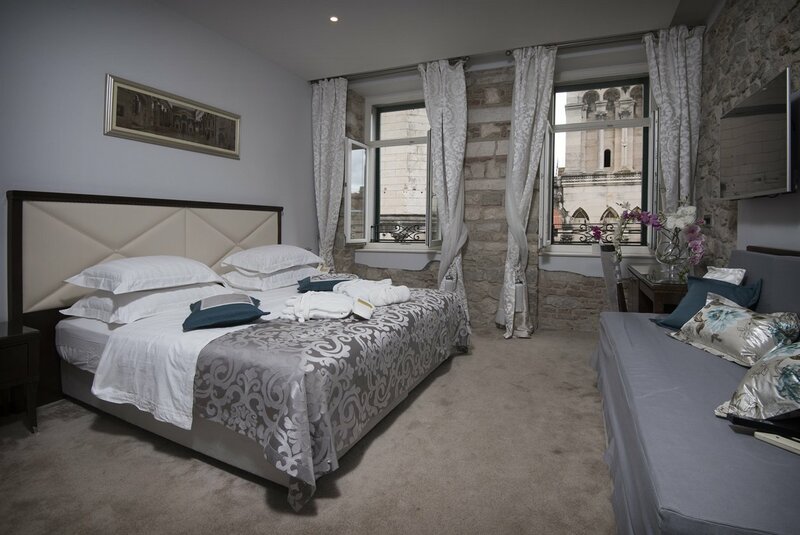 Milutin’s hotel is located in the heart of Diocletian Palace, a landmark of Split that literally serves as an independent neighborhood and connects numerous points of interest. It has eight rooms, and only recently gained the status of hotel, previously having the category of “luxurious rooms”. Situated in an old house of historical value, it is indeed as ‘heritage’ as it can possibly be. Guests are all lauding the accommodation, but also one other distinct feature of this place. 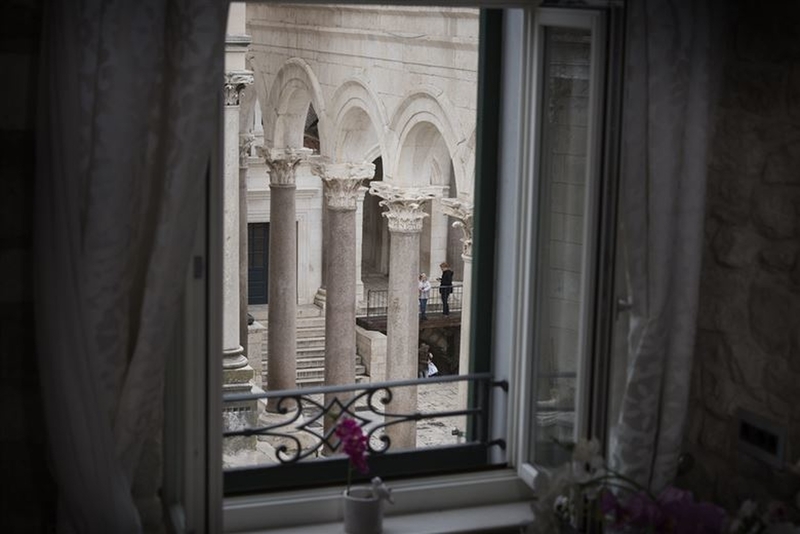 Managed by members of Milun family, Heritage Hotel Antique Split is a place of history and coziness. But thanks to hard work of its owners, it is really a spot you should consider as an accommodation during your stay in Split. “Without our care and love for our job, the beautiful view our hotel provides would be irrelevant,” Jakov concluded, happy to have the best place of the kind in the world.